An executive order issued by Ohio Governor Mike DeWine (D) on Jan. 28 created new committee to examine the current conditions of the state’s roadways and recommend options for maintaining and enhancing the state’s transportation infrastructure; recommendations that are due by mid-February. Matthew Blair, partner with Blair & Latell Co.
Doug Sibila, president/CEO of Peoples Services, Inc.
Taras Szmagala, senior vice president of Eaton Corp. The formation of this committee is an outgrowth from the growing concern over the condition of Ohio’s road network. For example, a report released by The Road Information Program or TRIP back in June claimed that deteriorated and congested roads and bridges in Ohio costs motorists a total of $12 billion statewide annually – as much a $2,180 per driver in some urban areas – due to higher vehicle operating costs, traffic crashes, and congestion-related delays. TRIP’s report found that 23 percent of Ohio’s major urban roads are in poor condition and 12 percent are in mediocre condition, with 7 percent of Ohio’s bridges considered “structurally deficient,” with significant deterioration to the bridge deck, supports or other major components. 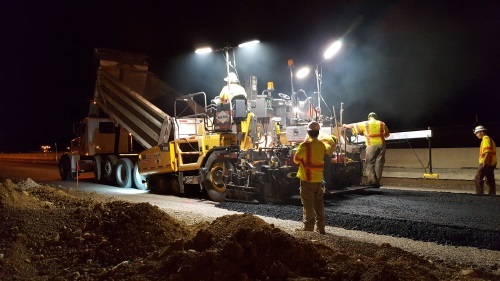 While the group said the Ohio Department of Transportation invested $2 billion in the state’s transportation system in 2017 and $2.35 billion in 2018, investment is set to drop to $1.85 billion in 2019 and to $1.7 billion in 2021 – with the agency estimating it will face a transportation funding shortfall of $14 billion through 2040.